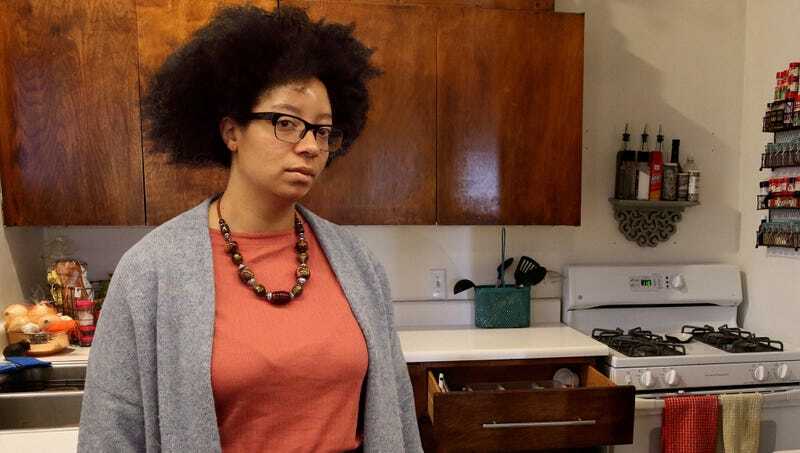 AUSTIN, TX—Confident she could defend herself if an intruder ever broke into her home, local woman Annie Stover told reporters Tuesday that in such an event, she would instantly reach for the 6-inch chef’s knife over any other blade in her cutlery drawer. “It’s small enough to be nice and handy, and with its curved blade and pointed tip, I should be able to slash and stab pretty easily,” said Stover, who confirmed she had ruled out both a meat cleaver and a pair of kitchen shears for being too unwieldy and possibly not cutting deep enough to immobilize an attacker. “If the intruder wasn’t too tall, I might also consider gouging his eye out with a carving fork, though I think I’d still feel safer with the chef’s knife. I just got it a few months ago, so it’s still really sharp. It’s the perfect weapon, really.” At press time, sources reported that whichever implement Stover chose, there was no question a criminal entering her home would succeed in disarming her immediately.